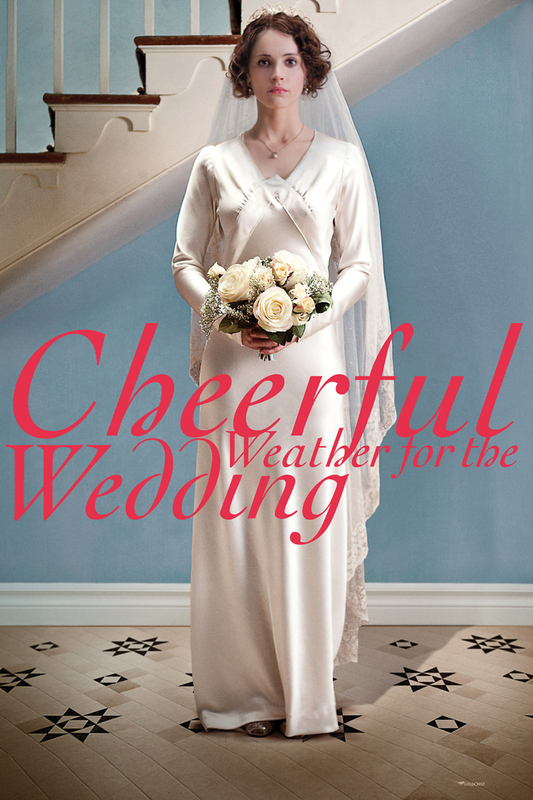 Cheerful Weather for the Wedding DVD release date was set for March 26, 2013. Dolly Thatcham is about to get married...or at least she thinks so. Family and friends are showing up on the big day, cheerfully expectant that the big event will take place as planned. But an unexpected guest throws everything into chaos. That guest is Joseph Patten, Dolly's former lover. Dolly begins to wonder whether or not she is marrying the right man, leaving both her fiance and her former lover in some anxiety. Dolly's widowed mother Hetty frets that Dolly may make a decision that will upset not just the wedding day, but Dolly's carefully planned future, a future that the aristocratic Hetty has planned with great precision and does not want to see wrecked.